As we get closer to the official start of fall, I can’t wait for the peak of apple season. 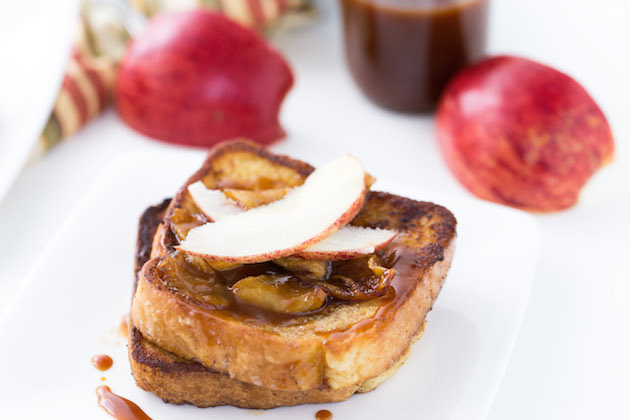 This french toast recipe incorporates my favorite flavors of apple and caramel. French toast is perfect for any lazy Sunday brunch and is such an easy brunch recipe to prepare for a crowd. To bring out the best of fall flavors, I soaked the toast in a milk liquid infused with cinnamon and nutmeg and topped the french toasts with brown sugar caramelized apples. The result is a perfectly-spiced french toast with caramel sauce drizzles. To start, make the caramel sauce. Homemade caramel sauce is easy to whip up and as we approach apple season, I always have a jar of this in my refrigerator. For an easy caramel sauce recipe, use this recipe here that caramelizes sugar before adding in butter and heavy cream. Once you have your caramel sauce made, you can start preparing the topping for your french toast. To make the caramelized apples, melt some butter and brown sugar in the 10″ Skillet from your KitchenAid® Stainless Steel 10-Piece Set. Toss in the sliced apples to the butter mixture. Cook until browned and starting to caramelize. 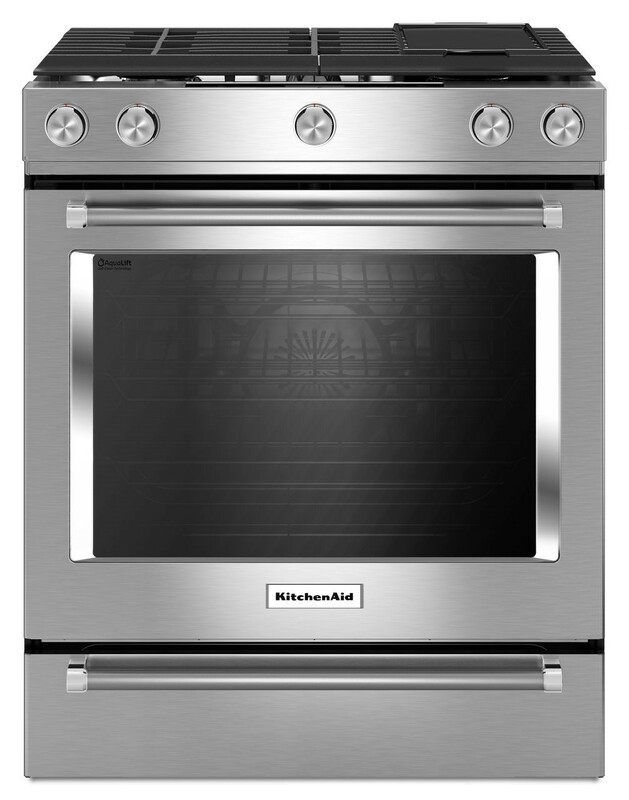 I love the cooktop on my KitchenAid® Electric Convection Slide-In Range. 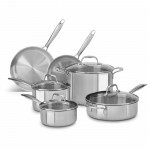 It has 5 Cooking Elements including a Warm Zone, ensuring that all your recipes are cooked thoroughly and evenly. After your apples have caramelized, it’s time to make your milk mixture. Whisk together eggs and milk combined with spices. 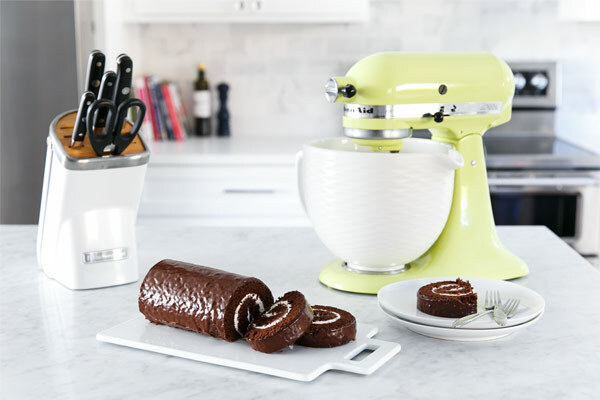 Transfer this mixture into the largest dish from your KitchenAid® 4-Piece Nesting Casserole Set for easy coating of your bread. Heat up some butter in a KitchenAid® 10″ Skillet over medium heat on the cooktop of your Electric Convection Slide-In Range. 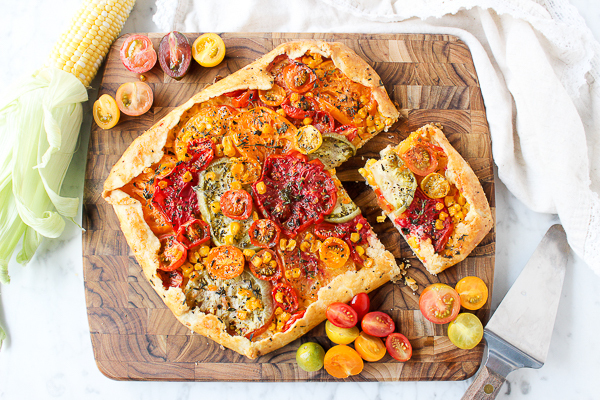 Place two or three slices of toast into the Skillet and cook each side until golden brown. Top the french toast with the caramelized apples and a drizzle of caramel sauce. I even like to top it with a few fresh apple slices too, for some extra crunch. 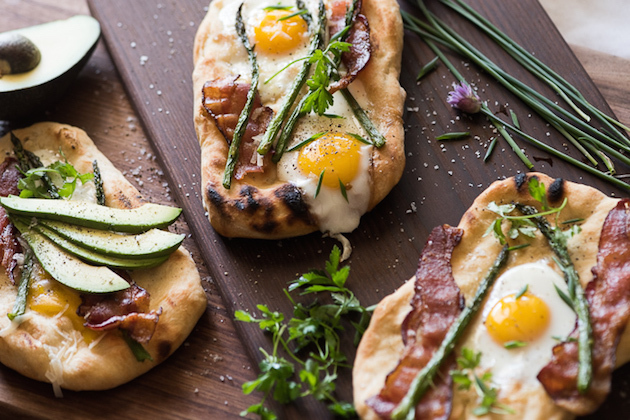 I cannot wait for you to try this dish at your next brunch! Share your take on this Apple Caramel French Toast recipe on Instagram using #MadeWithKitchenAid for a chance to be featured. To make the caramelized apples, melt the butter and brown sugar in the 10″ Skillet from your KitchenAid® Stainless Steel 10-Piece Set heated on the cooktop of your Electric Convection Slide-In Range. Toss in the sliced apples to the butter mixture, stirring occasionally, until browned and starting to caramelize. Remove from heat and set aside until ready to serve. To make the homemade caramel sauce, follow this recipe. In a large mixing bowl, whisk together the milk, coconut cream, eggs, brown sugar, cinnamon, nutmeg and salt until well combined. 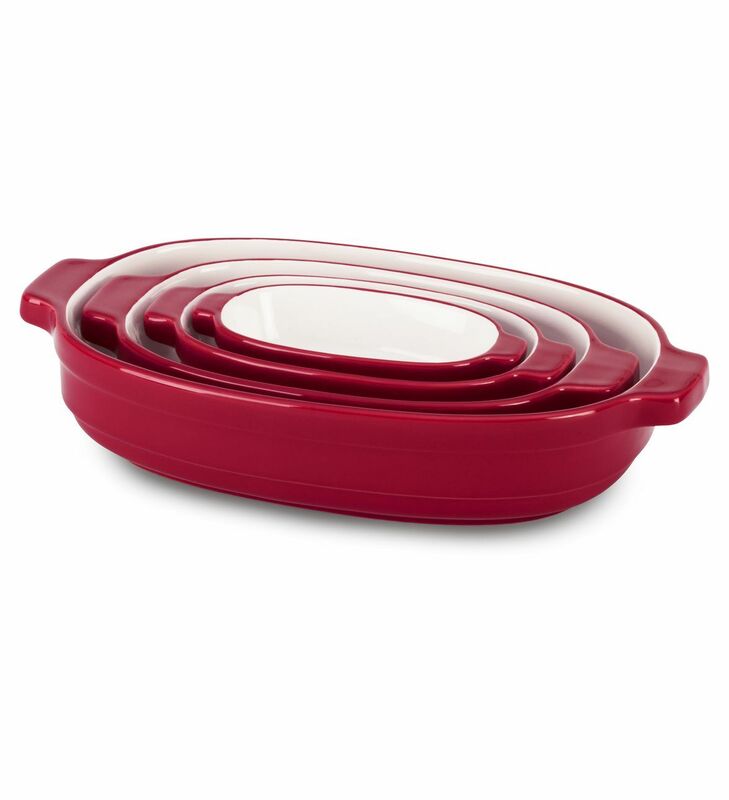 Pour into the largest dish from your KitchenAid® 4-Piece Nesting Casserole Set. Heat your KitchenAid® 10″ Skillet on the cooktop of your Electric Convection Slide-In Range over medium heat. Add butter to the Skillet and allow to melt. Dip the bread into the egg-milk mixture for a few seconds and allow the milk to soak through, making sure you soak both sides of the bread. Transfer to the hot butter in the Skillet and cook until golden brown on the bottom, then flip over to the other side. Flip the toast and cook until golden brown on the opposite side. Remove from Skillet. Top with caramelized apples and a drizzle of caramel sauce.